The Difference Between a Good Wine and a Great Wine – Part 5 | Season It Already! Posted on April 18, 2012 by Carrie @ Season It Already! Is it done mechanically or by hand? Does the winemaker ferment slowly for best results? Are the wines stored properly until release? Are they released at the right time? Does the winemaker rack the wine to eliminate undesirable solids? 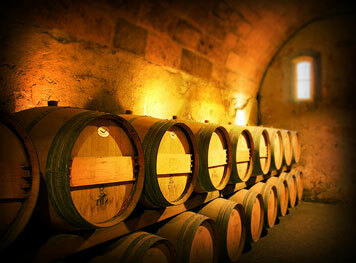 Is the wine fermented or aged in oak? Is the oak new or old? Is the wine rushed to the shelves? Is the wine aged in the bottle prior to release? Is it released at the right time? When a winemaker invests more time, energy and resources in the making of the wine, the quality will undoubtedly be better. In my opinion, winemakers can be considered artists. Depending on what they do at each step in the wine-making process and what care they put into it, they can create a quality wine that has its own unique character every time. Pingback: How do you like them apples? A Guide to Wine Varietals for Beginners… « Season It Already! Pingback: Winehaven | Season It Already!